Monday evening brought a packed house to the final event for the Community Concert Season in Fort Myers. 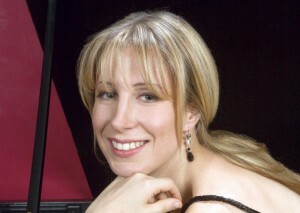 The Cleveland Orchestra was conducted by Vladimir Ashkenazy, with piano soloist Ingrid Fliter. Rarely do you hear a world-class orchestra on tour with a Chopin No. 2 Concerto in F minor. These works are not admired by the symphonic world, but it being the 200th anniversary of Chopin's birth, proper homage was given. The orchestra opened the concerto with a vigorous statement of the exposition. Then Fliter entered and played the first octave D-flat. And POW! Right in the piano kisser, the string popped and broke with an audible knock and twang. This is a concerto soloist's worst nightmare. What to do? If it were a solo recital, one could stop, walk off and send the technician out to repair it. (Often, the tuner is in the hall.) But with the Cleveland Orchestra and Ashkenazy? Nope; the show must go on. Now, the pianist thinks to oneself: "Which note will pop next?" "Should I avoid the broken Db, or just use it?" "Am I going to be this distracted the entire length of the concerto?" "I've got another entrance coming up, tell my brain to shut up and play!" Fliter took the last. She performed the concerto with a lyric sense of her own virtuosity. Her innate style of phrasing gave this concerto a refreshing statement to a beloved warhorse. The second movement Adagio was especially expressive; notably in the dramatic recitativo section. During his bow after the concerto, Maestro Ashkenazy went to the instrument - and pulled on the broken string! After intermission, Ashkenazy and the orchestra performed a selection of scenes from Prokofiev's "Romeo and Juliet." It was an astonishing performance of an awesome work. Every section of the orchestra was brilliant in grasp of style and balance. The power of this performance will ring in our ears for months to come. The program opened with a trifle of Glazunov, an orchestration of Chopin's F Major Nocturne. It was awkward, unbalanced, and rhythmically undistinguished. It appeared as though it might be a very long night. And then the piano string broke. Everyone, including the audience, recovered. All's well that ends well. William Noll is artistic director of Classic Chamber Concerts in Naples, and always has his D-flat in fighting shape.